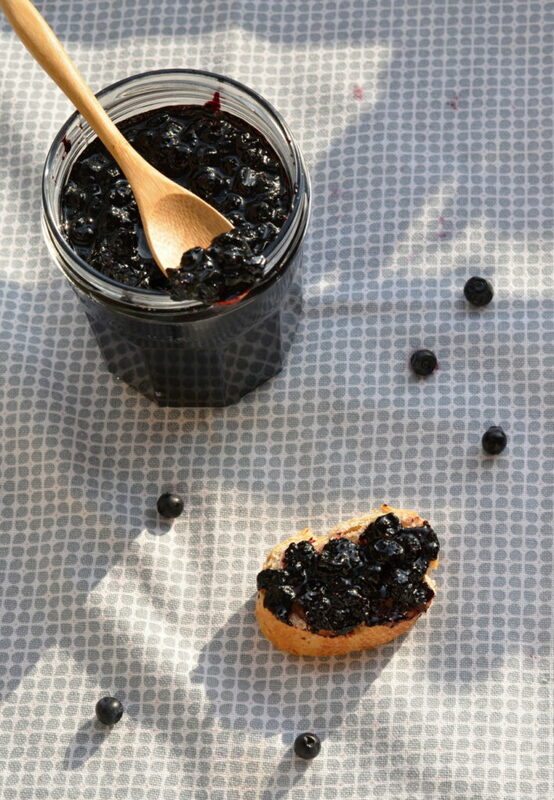 If you like blueberries but you are tired of the classic jams, you need to try this one! 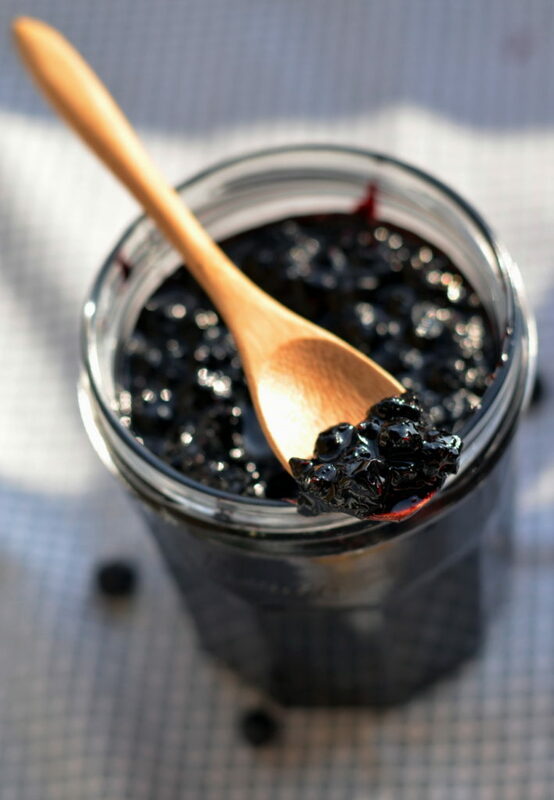 Blueberry Jam with Pinot Noir, cinnamon, allspice, and star anise is a little pleasure in a jar that will make you happy every breakfast you eat it. Blueberries are my favorite summer fruit and they are also kind of symbol of summer and holidays. When I was a kid I used to spend part of holidays with my family at the cottage in the countryside. 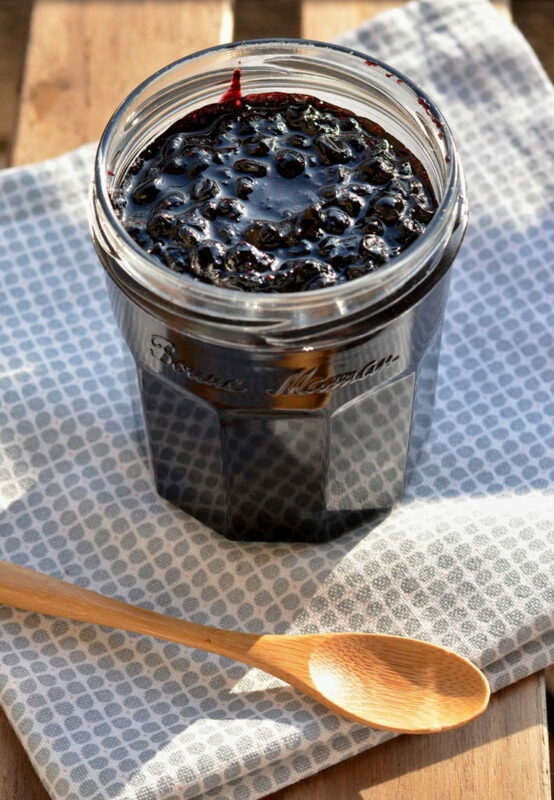 Sometimes the weather wasn’t ideal to go for a swim, so we went to the forest to get some blueberries and my mom used to do some tasty treats with it as for example this delicious blueberry jam. In general, I love to make jams during the summer months as th.ere is so much fruit available and I cannot imagine living without the very basic but our favorite Strawberry Jam, Peach Jam with Rum, and now I think that even this Spiced Blueberry Jam with Pinot Noir will become our favorite. The jam is not difficult to make, just be aware that you will need to soak the pre-cooked fruit for 24 hours prior to main cooking. Then cook the liquid in order to thicken without overcooking the blueberries. These are only added 5 minutes before the end of the cooking together with spices and wine. Remember also to preheat the glass jars before filling them with the warm jam. Delicious blueberry jam full of flavours. Place the clean blueberries together with sugar, water and lemon juice in a larger saucepan, bring to boil and cook for 2 minutes. Remove from the heat and allow to cool down. Move the blueberries with the liquid in a bowl, cover with aluminium foil and soak for 24 hours on a cool place. Heat the oven to 60°C and preheat 2 glass jars inside. Strain the blueberries over a large saucepan and set the fruit aside. Bring the liquid to boil and cook until it reaches 110°C (until little pearls, about 10-15 minutes). Add the blueberries, spices and red wine, bring again to boil and cook for another 5 minutes, or until the consistence of the jam is fine (do a test with a drop of the jam on a small plate). Take out the jars from the oven and fill them with the jam. Close well and turn bottom up for 10 minutes. Then store in a dry and dark place for max. 1 year.